Take the stress out of entertaining a crowd with this simple idea. 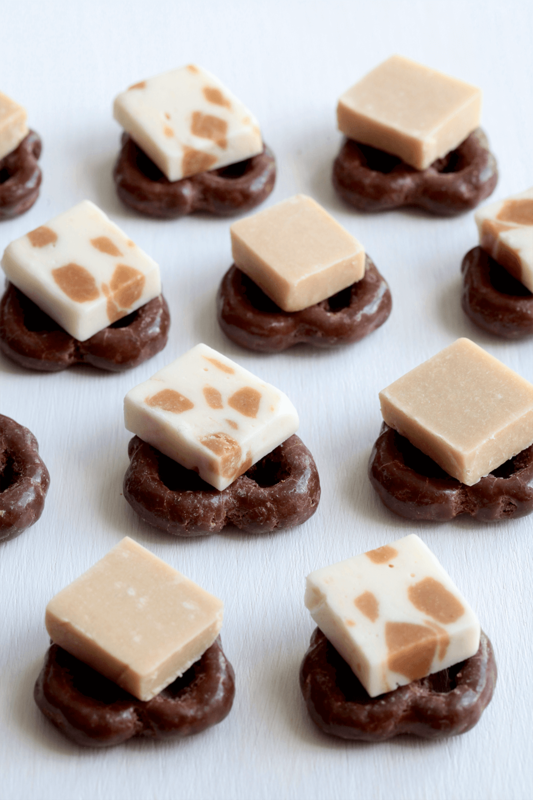 Layer Chocolate Pretzels with slices of either Russian Fudge or Salted Caramel Nougat. All of these flavours work well with one another, simple and delicious!